The maize seed sector in eastern and southern Africa is male-dominated. Most seed companies operating in the region are owned and run by men. Often access to land and financial capital can be a constraint for women who are keen on investing in agriculture. However, there are women working in this sector, breaking social barriers, making a contribution to improving household nutrition and livelihoods by providing jobs and improved seed varieties. The gender team within the International Maize and Wheat Improvement Center (CIMMYT) Socioeconomics Program interviewed 9 women involved in the seed business in this region as part of a collection of stories that will be published as a book this May. In honor of International Women’s Day, held March 8, 2019, the CGIAR Research Program on Maize (MAIZE) and CIMMYT would like to share some of their stories to recognize these women—and many others like them—and highlight the important work that women do in seed systems in Africa. Sylvia Horemans started Kamano Seeds in April 2004 together with her late husband Desire Horemans. The company derives its name from a stream that runs through their farm in Mwinilinga, Zambia. 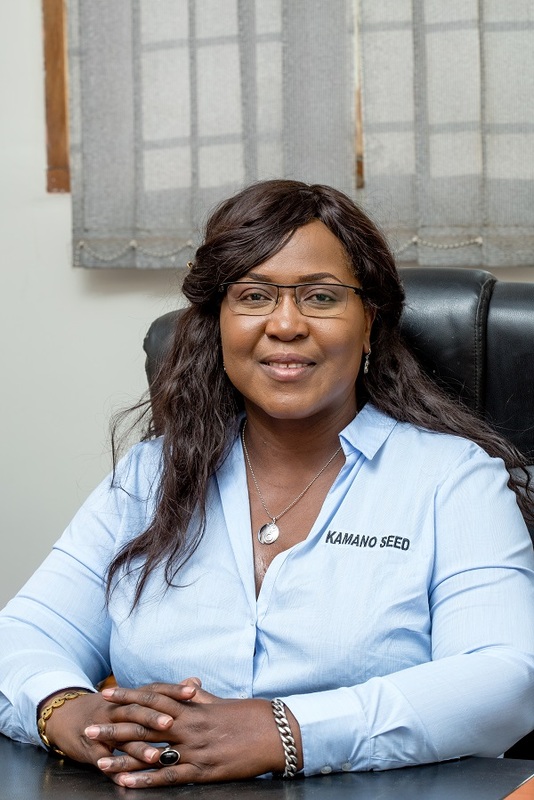 Kamano means a stream that never dries, aptly describing the growth the company has enjoyed over the years, enabling it to capture 15% of the country’s seed market share. Silvia became the company’s Chief Executive Officer in 2016. The company takes pride in the growth they have witnessed in their contract workers. “Most farmers we started with [now] have 20 to 40 hectares. Some are businessmen and have opened shops,” Sylvia announces with pride. The Horemans got into seed multiplication when they were approached by a number of non-governmental organizations (NGOs) working with Zambia’s farmers after the 2002 drought. One NGO contracted Kamano to produce seed with a network of farmers they had trained. Silvia Horemans (right) and warehouse supervisor (left) inspect seeds at Kamano seeds. Photo: CIMMYT/Kipenz films. The Alliance for a Green Revolution (AGRA) supported the company by providing them with a breeder who guided them in basic seed production. Harvest Plus has also helped them acquire Pro-Vitamin A maize. Kamano is currently the highest producer of this maize variety in the country. It has been recognized for its efforts with an award of US$161,000 by AgResults, which is a multilateral initiative that uses prize competitions to provide incentives to private sector players to overcome agricultural market barriers. At the moment, Kamano does not have a breeder on its production team. “Breeders are very expensive,” says Sylvia adding that it is difficult to find well-trained people. “We have to knock on CIMMYT doors every time we need a breeder.” CIMMYT has also supported the company by providing parental seeds for drought-tolerant hybrids and supporting them in production. They have also received financial support for setting up demonstration plots and organizing field days to train farmers on the maize varieties they stock. Sylvia would like to build her knowledge in the breeding sector. “It would be interesting to know breeding techniques,” she shares, adding that she has basic training, but would like to acquire more in-depth knowledge in the field. 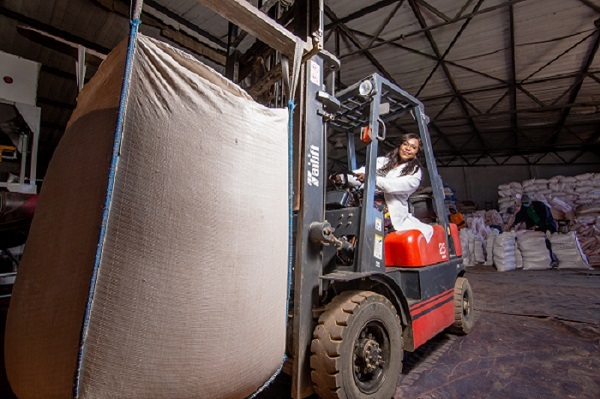 Sylvia Horemans, CEO Kamano Seeds, moves maize seed to the processing machine using a forklift at the company warehouse in Lusaka, Zambia. Photo: CIMMYT/Kipenz films. Kamano prides itself in improving the lives of women smallholders and involving women in decision-making structures. “We empower a lot of women in agriculture through our outgrower scheme,” says Sylvia. She makes a deliberate effort to recruit women farmers ensuring they receive payment for their seeds. “We pay the woman who did the work and not their husbands.” Women form the bulk of casual staff involved in seed production activities, especially during peak times. In addition, the company has a custom-made work station that provides women with back support as they sit down to sort seeds manually. Kamano is looking to expand in the southern Africa region through seed exports. They have opened a branch in the Democratic Republic of Congo and hope to extend to Angola in the near future. 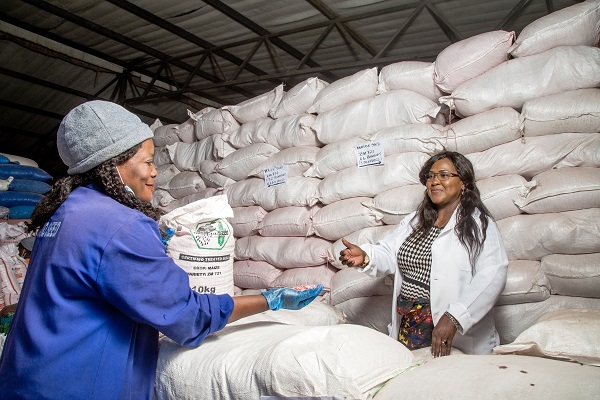 Sylvia celebrates the fact that a few female seed entrepreneurs are members of the Zambia Seed Trade Association (ZASTA). She served as the association’s Executive Committee member for two terms that ended in October 2018 and is pleased that the current ZASTA chair is a woman from SeedCo Limited.